The Raw Workshop, hosted in collaboration with World of Decorative Concrete is the ultimate hack in learning how to make raw products work in your home. Forget about awkward Pinterest fails and get experts in steel, glass, concrete, wood, stenciling and natural home products to show you how to best use these raw products in your home. Some of the demonstrations will even have the experts helping you make your own products while you’re at HOMEMAKERS Expo! Glass blowing is a rare, beautiful and skillful art that has mesmerised people for centuries. 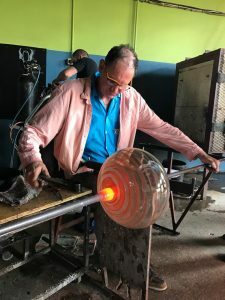 Smelt Glass Studio are bringing in the pros to show you how they make glass beads and displaying some of their functional, decorative and artistic blown glass pieces. World of Decorative Concrete is the undisputed king of concrete. Join the WODC team as they teach you all about concrete dipping, moulding, casting and even making your own concrete jewelry. Get your hands a little dirty and make your own trendy decor piece. The D.I.Y queen herself! 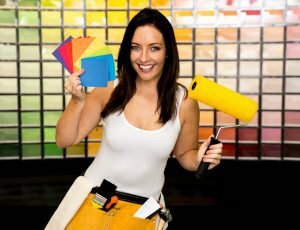 We’ve convinced the incredible Elle Franco to reveal her secrets on perfectly staining wood to match your style. Don’t miss what is sure to be a demonstration full of handy tips, fun and laughter. Learn how to spice up your home without breaking the bank with Earthly Mosaics. Their team will show you how to use stenciling to bring new life to your walls, furniture and floors. 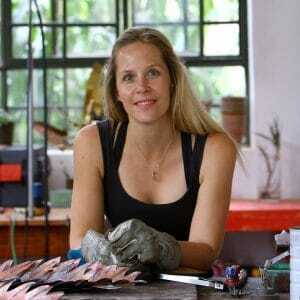 Inspired by Africa’s natural beauty, Sarah Cronin will take you through how she designs and hand makes her breathtaking botanical-style copper water features. Raw comfort also includes a little self indulgence thanks to Natural Nerd. Find out how to make your own natural skin products, bath goodies and soaps and have a relaxing soak after your day at Johannesburg HOMEMAKERS Expo. 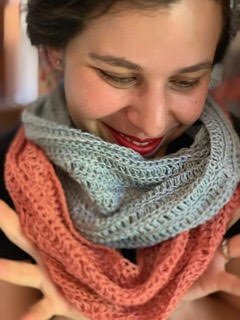 Join Jennifer Botha from The Yarn Room has she leads you on an exciting and creative adventure into the world of wonderful wool. Let your imagination weave, spin, colour and create! Get ahead of the Raw Comfort trend by grabbing a spot at these expert demonstrations only at Johannesburg HOMEMAKERS Expo. A true green movement champion, Bradley Clark of FOO DOG Design House built a composite off-the-grid house for himself…entirely from scratch.